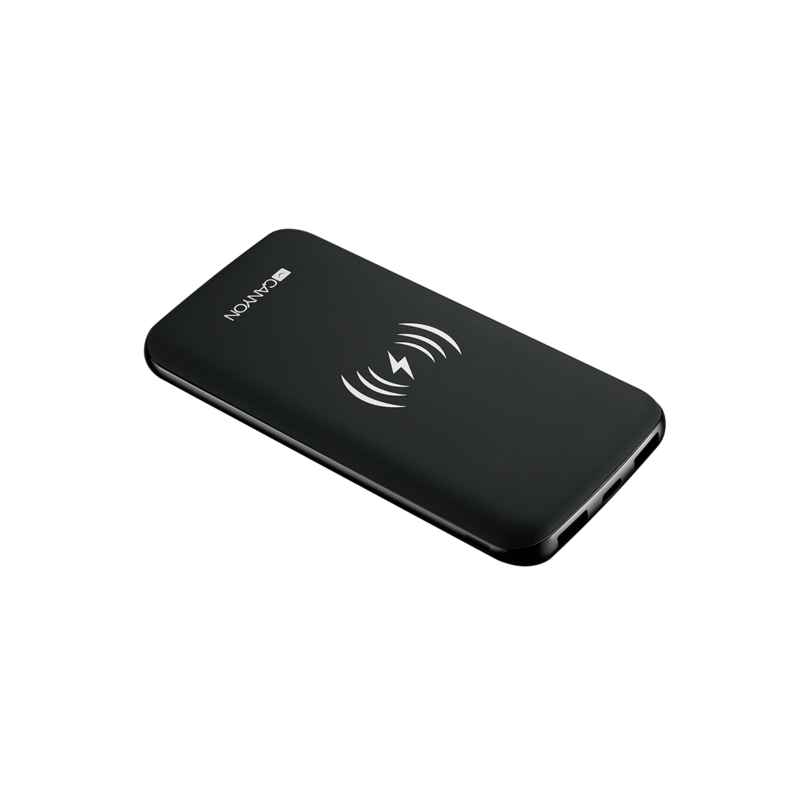 You don't need wires to charge your device using this power bank. 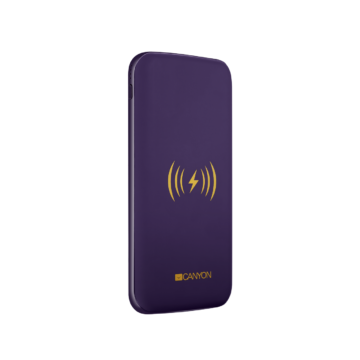 Innovative electromagnetic induction technology allows to transfer energy just by putting your gadget on it. 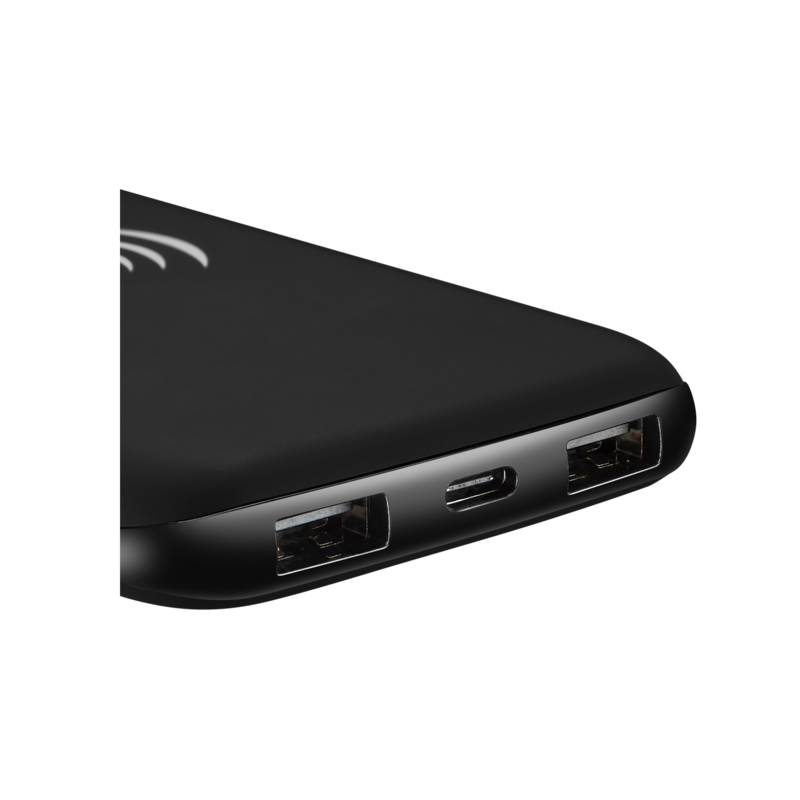 This device is also equipped with 2 usual USB outputs and a dual input: micro-USB + Type-C. 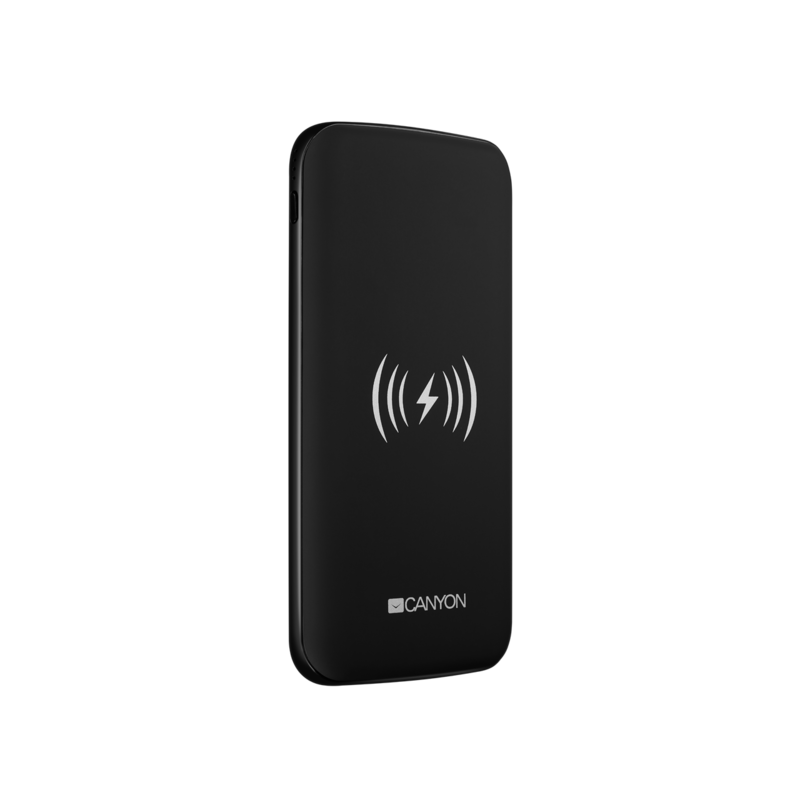 The capacity of this power bank is enough to charge an average smartphone for 3 times. 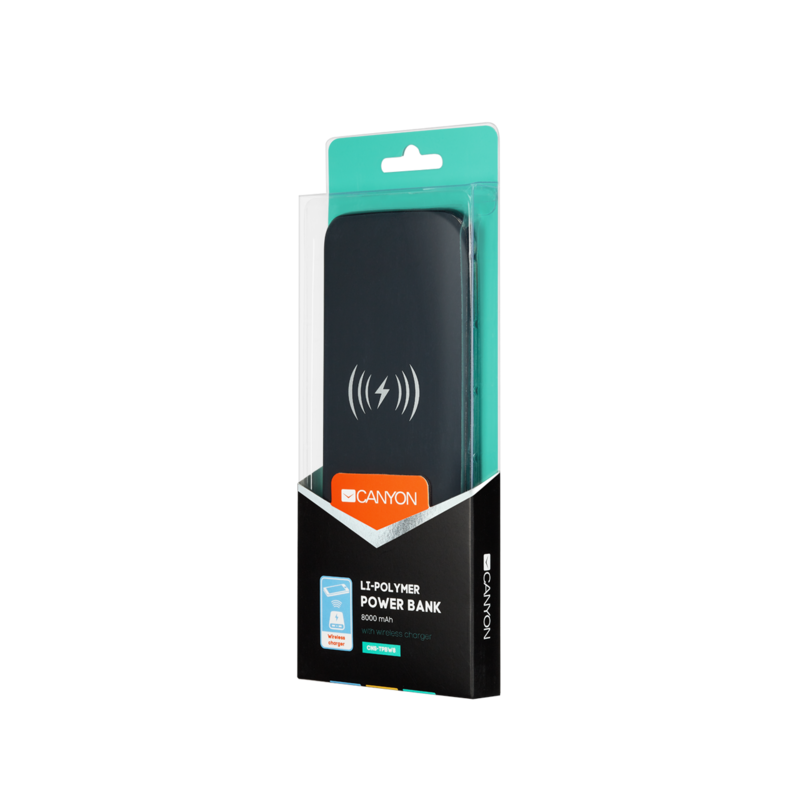 Its soft touch cover and modern shape make a cool, modern and convenient gadget out of this power bank. * Charged device has to be compatible with wireless charging technology. Forbidden to use with smartphones that have metal plate on the back side.